WATCH TV CHANNELS FROM ANYWHERE IN THE WORLD. With B1-Router you can stream your favorite TV channels from anywhere in the world. 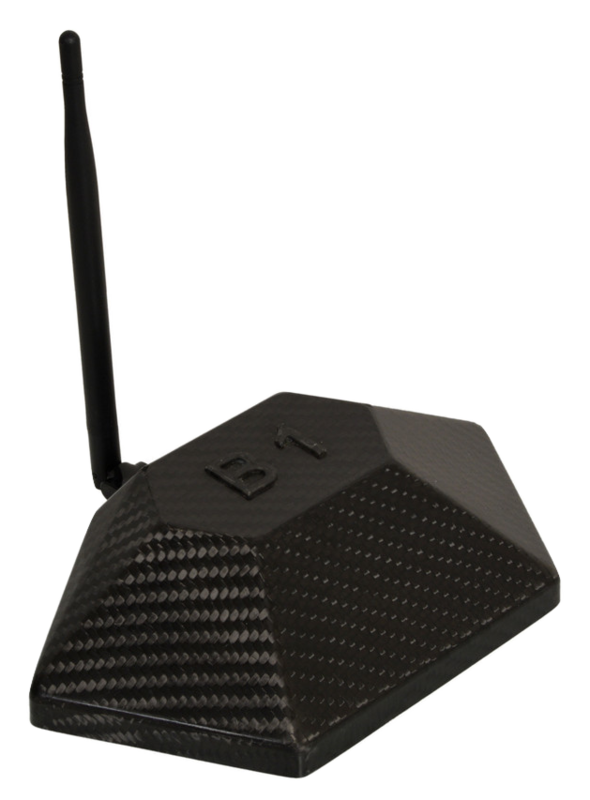 B1-Router enables users to watch TV channels from anywhere in the world. B1-Router has features which enable users to watch TV channels from anywhere in the world. Once you are connected to B1-Router you can access content of your favorite TV channels and watch them on your Smart TV, smartphones, tablets or laptops. TV Channels of these countries are supported at present: UK, USA, Italy, India, etc. We continuously keep adding more countries to this list. B1-Router is an easy to use plug-and-play device. It needs to be connected to a normal WiFi router, a few steps followed and you are connected. It's simple. What our users say about us..
"Brilliant. 5 Stars. Does everything it says on the tin! Allowed me to watch UK TV on my Go app outside the UK." "B1-Router is more beautiful than I imagined." "Superb.. does exactly what's required. Allows you to watch broadcasts from a different country, and much more …"
"Best product ever I love this. YouTube is blocked in my country and it allows me easy access. Thank you very much developers!" "Awesome! Working! In CN now, Youtube-ing, working good, and fast, no buffering while watching!!!! Easy and fast!" "Works Great! I connect from S. Korea to the US so I can listen to Pandora and watch Netflix. No issues since I got it 3 months ago." "Can bypass content block and also get to American netflix from the UK. Absolutely brilliant I am well impressed!" "This product has worked perfectly for me and has done everything I have wanted." "Awesome! B1-Router is excellent. I'm so happy to access my American streaming services (Netflix, Hulu Plus, WatchESPN, March Madness, etc...) from here in Thailand. I'm happy to pay the small fee for a service that works so well and is so easy to connect and run. Thanks for a GREAT product." "Best ever! And soo quick!" "Its sooooper its fast n fantastic"
"AWESOME! I'm using this product for almost a year. It's so easy, worth it!" "Finally working on my Android TV box Finally working on My Android TV box, thank you very much..."
"Works! Awesome! It works great and immediately! I highly recommend it!" "Very Excellent. Worked more than expected." "Perfect. Works great. I love it"
"Brill! Super handy for watching tv, catch up etc when you live abroad!! Cool as.. Cheers"
"Amazing Its awesoooooooooooooome I love it. ♥"
"Greatest in the world the best best best best best best best best best best best best in the world thx for making this keep it up and keep everything up to date in this tooooooooooooooo good"
"Love it So far it's cool and fast"
"Really good! It works very well on my work network"
"Awesome! Really easy to use ... keep it up! thank u so much!" "This router is awesome I can download games and apps which is not available in my country with the help of this product"
"Totally love it hard to describe, amazing speed, the best in the universe, big thanks." "AWESOME! I'm using this for almost a year. It's so easy, worth it!" "Nice product. It's really cool how it works"
"Useful, I really like it . It helps me so much." "Good It opens all doors ;) 5*"
"Good. This is one of the best Ever"
So are you interested in B1-Router? 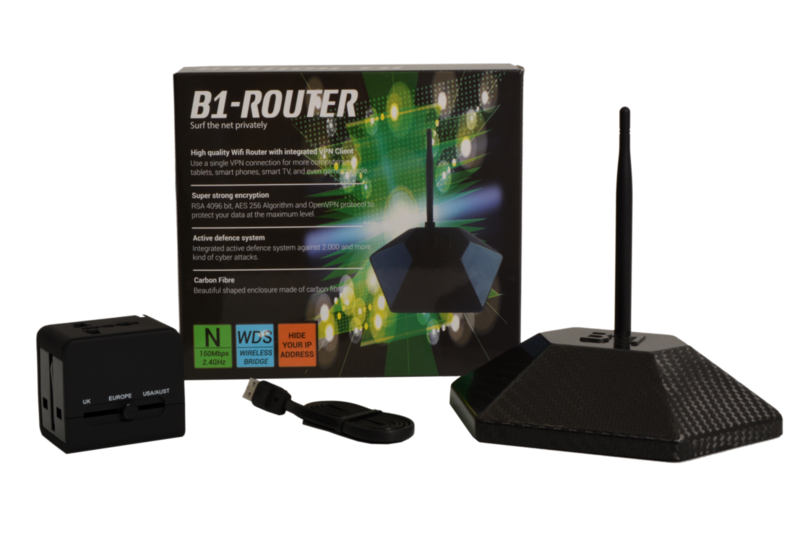 Exclusive Offer: Buy B1-Router for $149 only. $150 OFF! Get 12 months B1-Router subscription free. ($9.9 monthly subscription charges once free subscription is over). 30 Days Money Back Guarantee (if you're not satisfied). Pay with: PayPal, Bitcoins, Credit/Debit Cards.